We’re not sure who the market for these things is. 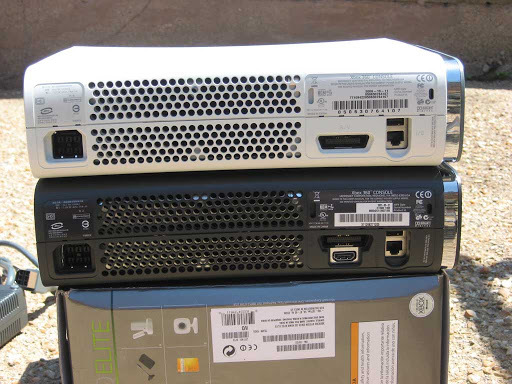 On the one hand, every new Xbox 360 comes with an HDMI port built-in. On the other hand, if you’ve got an older system, it’s more or less guaranteed to fail and the system you get back just may have an HDMI port in it. Process of elimination leaves people who’ve already had their 360 replaced and are left with fully functioning – yet cruelly HDMI-less – consoles, so we’ll direct the remainder of this post to that no doubt highly lucrative demographic. If staring longingly at your pal’s HDMI connection has you feeling like less of a man, then consider MadCatz’s HDMI Conversion Kit, available in January for the low, low price of $89.99. The device supports resolutions up to 1080p, includes an optical audio port, and comes with both HDMI and optical audio cables. Isn’t that worth it for a strong, thick digital video signal? How big does a laptop have to be before it’s just a computer that can fold up? After all, if it’s too heavy and bulky to carry around and, well, use on your lap, then it’s just a desktop computer in a fancy case, right? That seems to be the case with HP’s new 20-inch (!!) Pavilion HDX Gaming Notebook. Weighing in at an obscene 12 pounds, this thing is far from portable. But hey, it’s not really designed to be. It’s a gaming notebook, so that’s why you’ll get the ludicrously large 20-inch screen, and it’s loaded with hardware to run all your favorite games. It also has a built-in Windows Media remote next to the keyboard as well as an HDMI output if you want to send video to your HDTV. No word on pricing, but this thing is going to be as cheap as it is portable. If you have run out of HDMI ports on your flat screen you might want to check out a HDMI switcher. I wrote about the automatic HDMI swithcer yesterday, but here’s another one that lets you hook up 4 different HDMI devices and switch between them with a remote or using the buttons on the unit. The device is only $99 and if you got a Mac mini Apple TV this one will match the design perfect. If you’ve been oooing and ahing at the Xbox 360 Elite’s HDMI connection — which really should have been there all along — then this is the post for you: a source at Microsoft has posted specific details of the Elite’s HDMI capabilities. Apparently the Elite will only support the 1.2 HDMI standard, and not the 1.3 spec which would have enabled TrueHD or Dolby Digital+. As such, you’ll have to stick with regular DD, DTS, and WMA-Pro for your sound output. It also only supports dual channel PCM output, not full 5.1 channel, and if you want full 5.1 PCM output the tipster cheekily recommends “purchasing the Toshiba A2 player” which is much cheaper than the $479 Elite. At this point the complexity of the tech talk takes a step up, as amirm refers to a fall update that will bring support for “different video levels for VGA output” which could potentially improve fidelity and HDCP handshaking support on displays operating at 1080p. We suspect that around half of the people that started reading this left to read our interview with fake SJ somewhere around the point that we mentioned “dual channel PCM output”, but what do the three people left reading think about these HDMI deets?